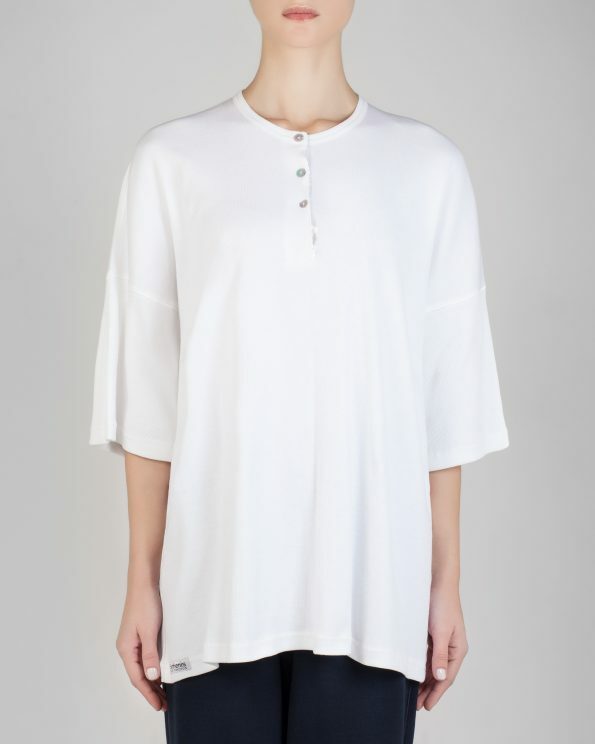 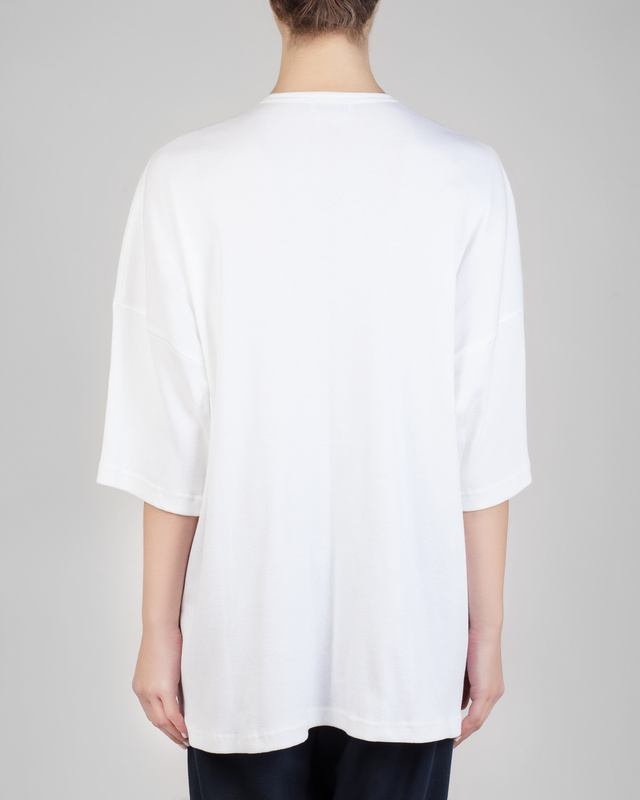 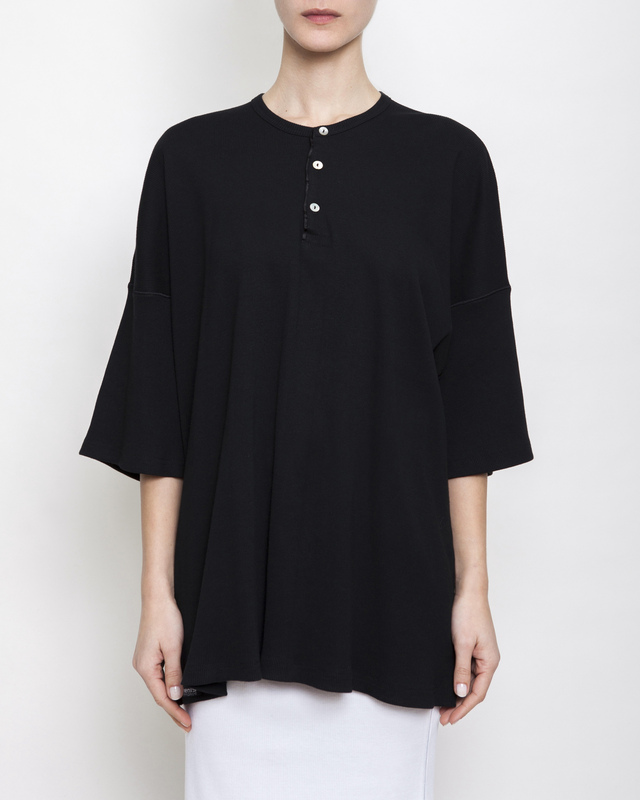 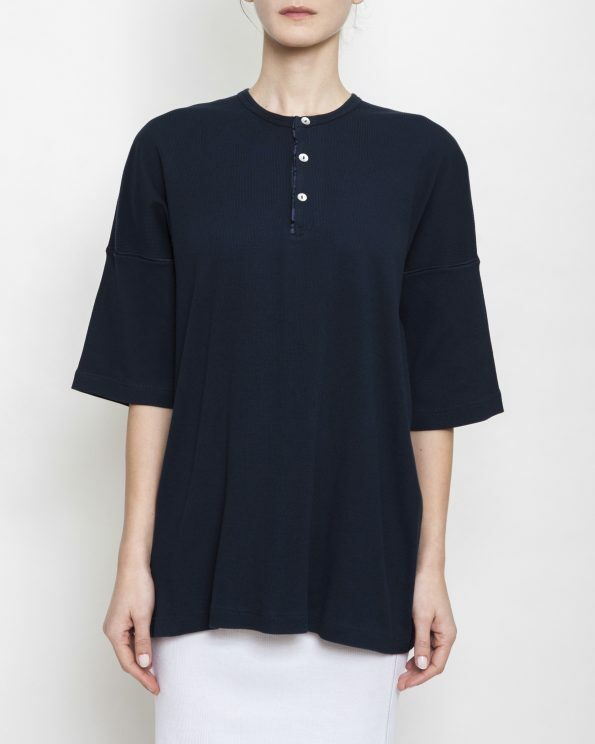 Ribbed cotton oversized top with 3/4 sleeves, satin henley, mother-of-pearl buttons and tone on tone decorative stitching. 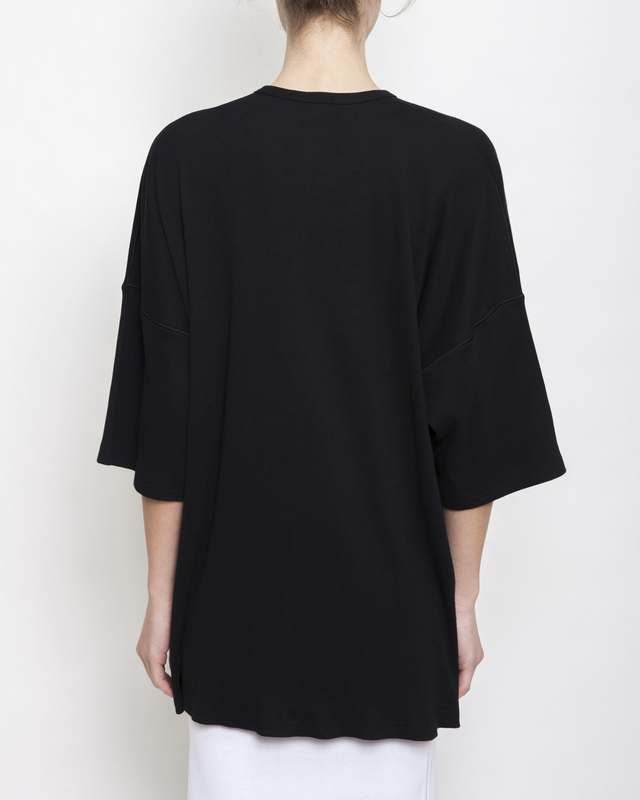 External woven Parthenis Athens-Mykonos label stitched on the right-hand side of the hem. Made in Greece.